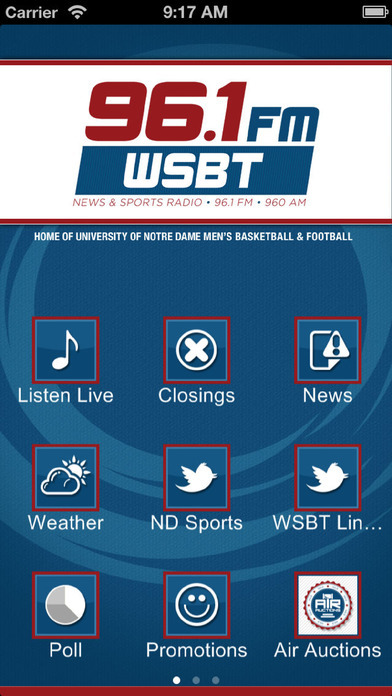 South Bend, IN radio station WSBT 96.1 FM and 960 AM bring you an app with streaming talk radio that you can take anywhere to keep up with news that is local, national, or relating to sports - especially Notre Dame sports. 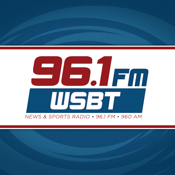 * Enter contests and take advantage of special offers which are promoted by the station. * Browse photo and video galleries relating to topics covered on air. 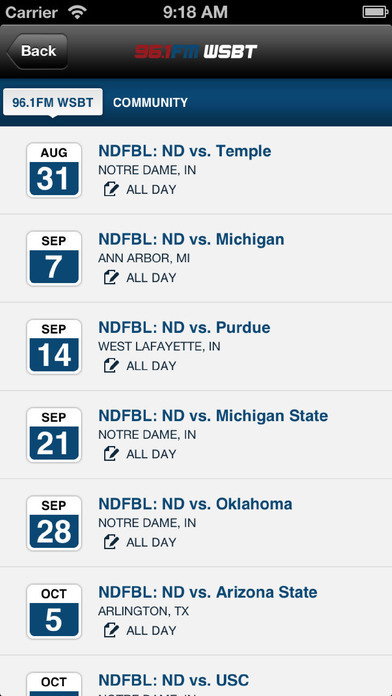 * Read news about Notre Dame football and basketball as well as some highlights from the news around South Bend. * Share your own photos and thoughts with other people who use the app. * Click to call the radio station anytime.